The only museum in the nation devoted exclusively to historic and contemporary design, Cooper Hewitt, Smithsonian Design Museum was founded in 1897 and has been part of the Smithsonian since 1967. Cooper Hewitt educates, inspires and empowers people through design by presenting exhibitions and educational programs and maintaining active publications. The museum’s recent renovation is part of a $91 million capital campaign that includes enlarged and enhanced facilities for exhibitions, collections display, education programming and the Cooper Hewitt, Smithsonian Design Library, as well as an increased endowment. The renovated facility opened Dec. 12, 2014, with 60 percent more gallery space and an entirely new visitor experience, with interactive, immersive creative technologies. Cooper Hewitt’s collection is international in scope and contains more than 210,000 objects spanning 30 centuries in four curatorial departments—Drawings, Prints and Graphic Design (137,636 objects), Product Design and Decorative Arts (37,910 objects), Textiles (26,725 objects) and Wall Coverings (10,001 objects)—and is supported by the Cooper Hewitt, Smithsonian Design Library and archives with more than 80,000 volumes, including 5,000 rare books. 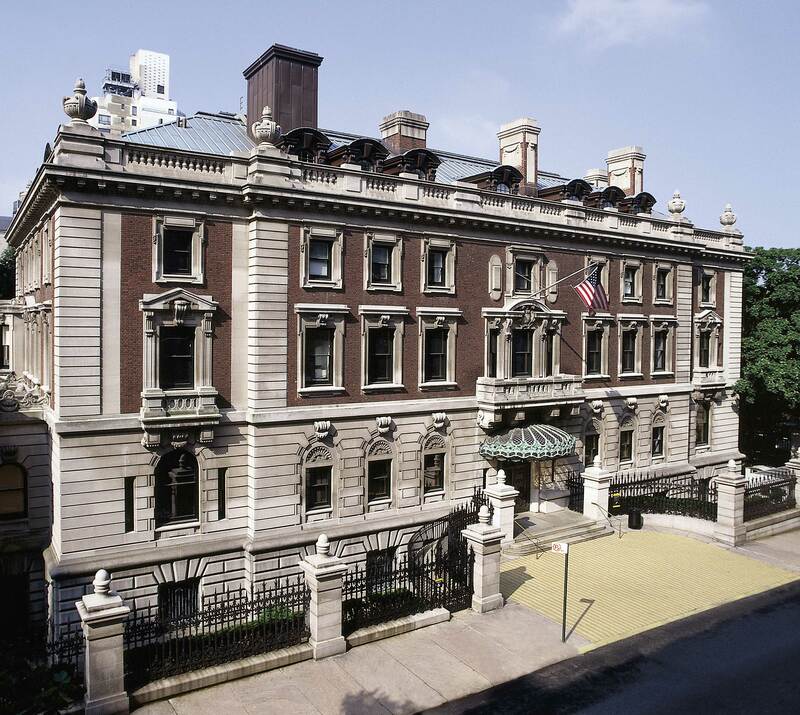 Cooper Hewitt’s outstanding exhibitions program, which includes the “Design Triennial,” has expanded with the reopening of the renovated and transformed Carnegie Mansion. The museum now offers four floors of exhibitions, including its first long-term installation of objects from the permanent collection. The museum’s Design in the Classroom program, which teaches 21st-century skills by using design as a tool across the curriculum, has served nearly 100,000 school-aged children in New York City and five pilot cities: New Orleans, San Antonio, Washington, D.C., Cleveland and Minneapolis. The goal is to extend this program nationwide and introduce every student in America to design-based learning. The museum also offers professional development programs for K–12 teachers, including lesson plans aligned to national standards, which highlight design as a teaching tool across the curriculum. Also a center for scholarly and applied research, the museum provides professional development and museum training to students through a graduate-level program in the History of Design and Curatorial Studies conducted in partnership with Parsons School of Design. The program, based at Cooper Hewitt, emphasizes object-based teaching, using the museum’s collections. To complement its physical transformation, cooperhewitt.org serves the expanding digital needs of the museum. Optimized for mobile devices, the website is the home for all the activities of the museum, its newly digitized collections, videos, program calendar and blog. The museum publishes catalogs of its collection and exhibitions, as well as independent publications related to the museum’s resources. Fully illustrated catalogs accompany two fall exhibitions—“By the People: Designing a Better America” and “Scraps: Fashion, Textiles and Creative Reuse.” Other reopening publications include Making Design: Cooper Hewitt, Smithsonian Design Museum Collection and Life of a Mansion: The Story of Cooper Hewitt, Smithsonian Design Museum. All titles are available in hard copy and e-book versions for all e-book readers. Cooper Hewitt also publishes DesignFile, a line of ebooks on design writing and research published in consortium with academic and institutional partners. Cooper Hewitt’s most visible public program honors the year’s most outstanding contributions from the design world. Now in its 18th year, the awards program recognizes the very best in American design across a range of disciplines. Inaugurated in 2006, National Design Week aims to promote a better understanding of the role that design plays in all aspects of daily life. This educational initiative makes great design widely accessible to the public through interactive events and programs for all audiences. Cooper Hewitt, Smithsonian Design Museum in New York, N.Y.